Did solar system and life result from a cosmic ‘EGG’? 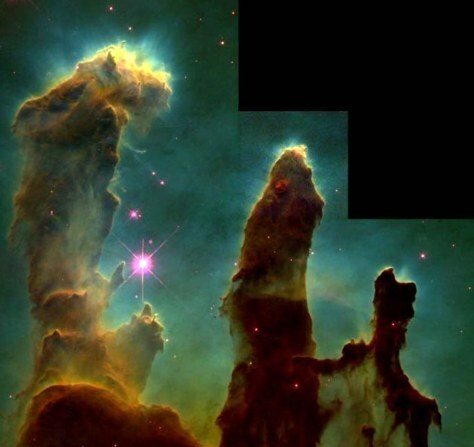 One of the Hubble Space Telescope's most famous images is this view of the Eagle Nebula, known as the "Pillars of Creation." Stars and most likely planetary systems are taking shape within evaporating gaseous globules, or EGGs, sculpted by intense ultraviolet radiation. Astronomers contend that our solar system may have been formed in a similar process.